“Get Out” should win best picture, but will it? Welcome to the new and improved, increasingly diverse and potentially more relevant Academy Awards. Filmmakers of various genders and ethnicities are in; all-white acting categories are out. Now the question is: Who will win on March 4? While there’s been much talk of the Oscars’ newfound sense of inclusion, the competition has boiled down to a race between two familiar types of movies: the artfully made critics’ favorite and the middlebrow crowd-pleaser. The former is Guillermo del Toro’s fantasy-romance, “The Shape of Water,” a lush-looking production that pays homage to classic monster movies while reworking them in decidedly modern ways. The latter is Martin McDonagh’s “Three Billboards Outside Ebbing, Missouri,” a small-town drama with powerful acting and sharp writing, but somewhat nebulous themes. Interestingly, del Toro’s artier movie goes into the Oscars as the favorite, with 13 nominations, while McDonagh’s film lags behind with seven nods. That’s one less than even Christopher Nolan’s “Dunkirk,” a World War II drama that seemed like Oscar bait earlier in the year but steadily lost momentum heading into awards season. WHO SHOULD WIN “Get Out.” With its pointed humor and populist appeal, this is the one nominated film that really reflects the temper of the times. Side note: “Get Out” could be the first February release to win best picture since “The Silence of the Lambs” in 1992.
WHO WILL WIN “The Shape of Water.” Guillermo del Toro’s creature-feature picked up the top Producers Guild award, statistically a strong predictor of the best picture Oscar. WHO SHOULD WIN Hawkins. As a mute cleaning lady in the 1960s, Hawkins vibrates with intelligence and energy, yet never utters a word. WHO SHOULD WIN Oldman. Oldman’s performance as Winston Churchill, aided by stunning makeup, could very well go down in acting history. He’s that good. WHO SHOULD WIN Janney. She turns Tonya Harding’s mother, LaVona Golden, into a chain-smoking, face-slapping, tragicomic villain you’ll never forget. The movie wouldn’t be nearly as good without her. WHO WILL WIN Janney. She’ll have stiff competition, though, from Manville and Metcalf, whose impeccable performances won rave reviews from critics. WHO SHOULD WIN Rockwell. The cast was this movie’s strong suit, and Rockwell nearly outshines McDormand as a racist cop whose narrative arc slowly but surely becomes the focus of the film. WHO SHOULD WIN Nolan. Though “Dunkirk” falls a little short in the emotional department, it’s a stunning achievement on nearly every other level. WHO WILL WIN Del Toro. Again, statistics are on his side: He just won the Directors Guild Award, making him an odds-on favorite for the Oscar. 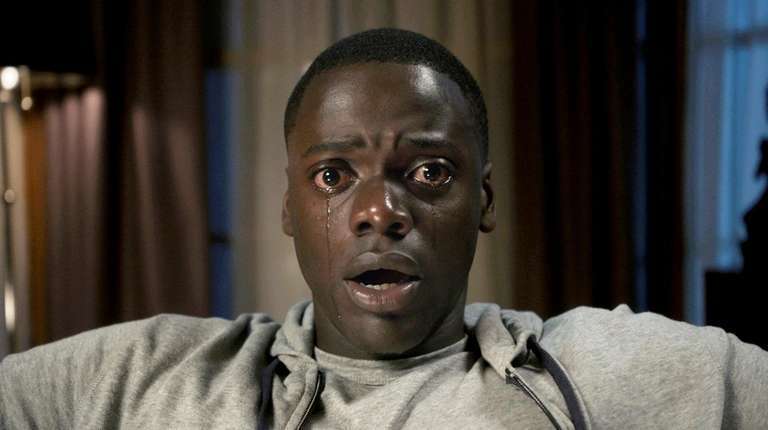 WHO SHOULD WIN “Get Out.” Even those not fully impressed by Jordan Peele’s first-time directing chops had to admit: This was one wildly original script. What’s more, a recent plagiarism allegation against “The Shape of Water” could hurt it in this category. WHO SHOULD WIN Greenwood. Forget the movie – just go get the soundtrack for “Phantom Thread.” Greenwood’s haunting score, a blend of lush classicism and austere modernism, is one of the best you’ll ever hear. WHO WILL WIN Desplat. This is a tough one to resist: Desplat’s mix of romance, horror and cheeky humor (he whistled the theme himself) fits “The Shape of Water” perfectly. 19 Oscar films through the years with LI connections Over the decades, many memorable films have been filmed or set on Long Island, and we're not just talking about "The Amityville Horror." LI’s Yance Ford is 1st trans director with Oscar nod"So this might be the first, but it certainly won't be the last," the "Strong Island" director says of trans directors being nominated for their work. Who are the oldest Oscar nominees? 88-year-old Christopher Plummer made history as the oldest actor ever nominated for an Oscar for his supporting turn in "All the Money in the World." 'The Shape of Water' tops Oscar nominations Guillermo del Toro's lavish monster romance "The Shape of Water" fished out a leading 13 nominations.